An essential bit of kit to ensure your tree becomes well established, easy to use and quick to install this Tree Irrigation Kit is a must-have. 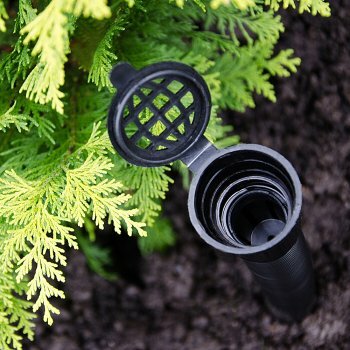 This simple system allows your tree to be watered directly at the roots through specially designed perforated piping. Simply water via the vented cap and the water will be dispersed to the root ball of the tree. To install, just pop into the ground before your tree and back fill as usual. The irrigation system includes an integral filter to prevent blockages.